I'm looking to raise £2500 to provide essential resources for the Freedom from Torture football project in Manchester. Freedom from Torture is a national organisation that provides direct clinical services to survivors of torture from around the world. 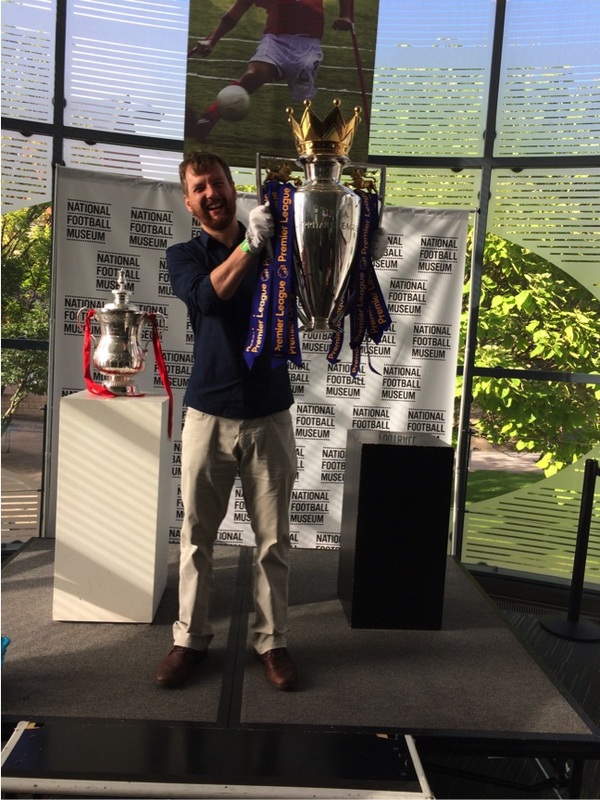 The Experts through Experience group at the Manchester branch has developed a football project and it is now in need of additional resources to help it continue to grow. 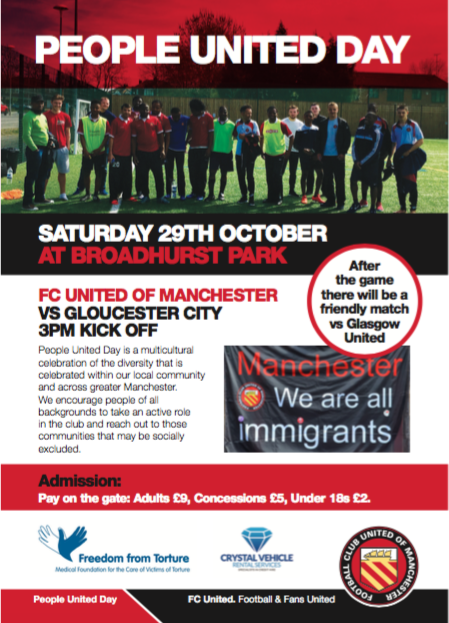 It runs as a partnership between FC United and Freedom from Torture and staff from the University of Manchester provide psychological support for the group. The group provides essential physical, psychological and social support to those who access their services. The football group consists of approximately 15/20 individuals. It meets once a week to provide a supportive environment for individuals to socialise, complete an hour and a half football training session with a professional coach at FC United and to have food. Additionally, the group have played in competitive charity matches such as the recent People United Day at FC United, playing for a trophy in honour of Alan Henning. £1000 will go to buy two full kits (approximately 26 shirts, shorts and socks) for the group. The kit will be available for the weekly training sessions. The additional shirts will be available for (1) spares, and (2) extra members of the group. £750 will be available to buy boots, shin pads and gloves for the group. Although we have some resources already, additional resources are needed to replace worn out equipment and to provide resources for new members of the group. 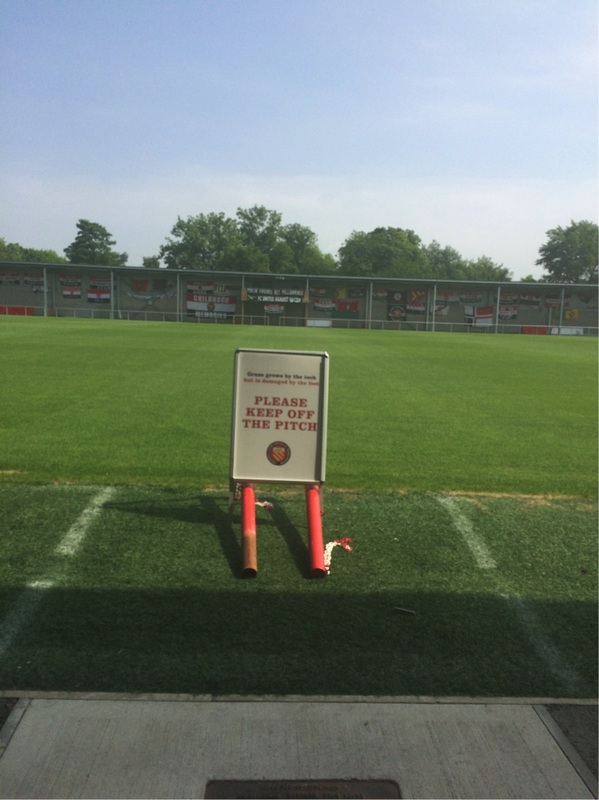 £750 will be available to subsidise transport to and from the FC United football ground. As well as contributing financially to this fundraiser we would also appreciate it if you would help spread the word about it. Please share this project with anyone you think will support us - on Twitter, Facebook, LinkedIn, by email, telephone, in a chat over the fence or on your blog. For any support whatsoever, many thanks!!! It will be greatly appreciated and be of huge value to this project.